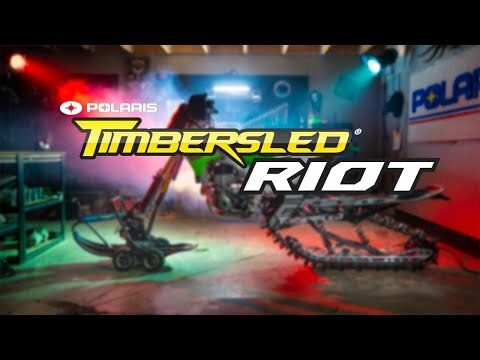 The new Timbersled RIOT™ combines proven Timbersled ARO™ technology with a RIOT specific patent-pending rear suspension to create an all-new dirt bike experience on the snow. RIOT was born ready to wheelie, climb or make a split-second line change. Carry the front end through the whoops just like an MX bike, hit a big mountain booter like a pro or do a spin-turn in the ditch; it’s a RIOT in the meadows, on the trails or in the mountains. In fact, it’s a RIOT wherever you ride. 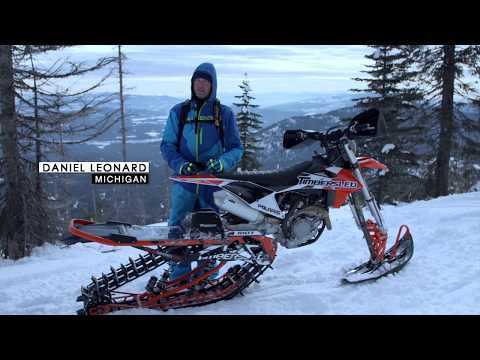 ULTIMATE DIRT BIKE EXPERIENCE IN ALL SNOW CONDITIONS: RIOT handles like your dirt bike. The new Timbersled RIOT™ is infused with dirt-bike DNA and blurs the line between dirt bike and snow bike with a track that handles like a tire. TIMBERSLED RIOT™ REAR SUSPENSION	: The new single arm rear suspension combined with the raised drive shaft and centralized mass allows the Timbersled RIOT™ to mimic the feel and performance of your dirt bike. The dual shocks are tuned specifically for RIOT for fun and wheelie control. TIMBERSLED TRAVERSE SKI™ & TRAVERSE TRACK™: The Timbersled Traverse Ski has been updated for RIOT with a new Deuce Bar Center Skag for lighter steering and smoother travel over obstacles. The RIOT 120" track is the proven Timbersled 120" Traverse track with added porting to make it lightweight, increase track speed and increase playfulness. 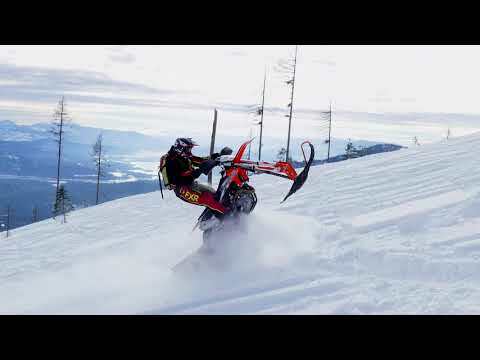 RIOT BUMPER & SNOW FLAP: The 2020 RIOT has all-new bumper and snow flap that upgrade the look and style while providing rider comfort. The new bumper is lightweight and integrated into the RIOT frame for increased durability. While the new snow flap was designed to keep snow off the rider and eliminate snow build-up on the tunnel. TIMBERSLED® TOUGH PROVEN PERFORMANCE IN THE TOUGHEST TERRAIN: The Timbersled RIOT™ has the same DNA as the proven Timbersled ARO™, the top choice of athletes and backcountry riders. It is strong where it needs to be and light where it can be with an aluminum chassis that provides lightweight strength for increased durability. ENGINEERED TOUGHNESS: Timbersled is the top choice of racers as they dominate the race tracks thanks to its ultimate toughness.